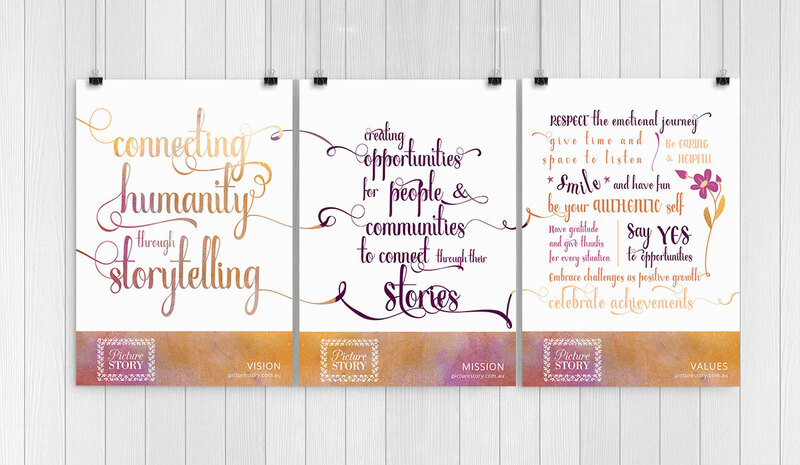 A poster design project for Picture Story, to highlight their business vision, mission and values in a beautiful and inspiring way. The poster became a tryptic to give each phrase space to be read and considered. The swashes from the letters link across posters emphasises the idea of creating connection through the sharing of stories.